Expertise and Experience: we have hosted many high school and university groups and will help you plan, organize and execute from beginning to end. 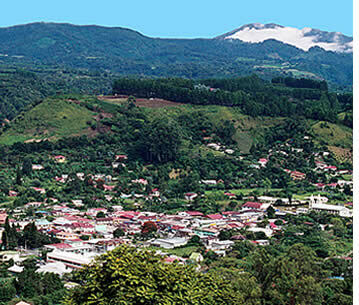 Boquete, Bocas del Toro & Panama City: rural mountain and beach towns + a truly cosmopolitan city, ideal for high school & university groups traveling abroad. Spanish Lessons: high quality Spanish language lessons either in small groups or with private tutors. 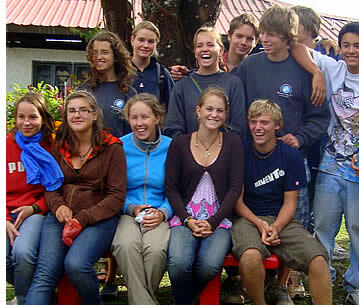 Accommodation: immersion homestays with local host families, budget hostels or rented houses. 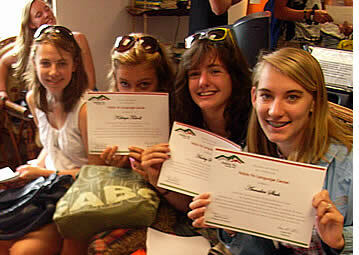 Eco-Adventure Tours, Cultural-Social Activities & Volunteer Projects: lots to do after Spanish class! Sample Itinerary: checkout how it could be. Rates: what does it cost to bring a group to Panama? As a group leader, there are many challenges when it comes to organizing and planning a school trip abroad. From researching where to go, securing cheap flight tickets and producing a well detailed risk assessment, to getting sufficient students on board and narrowing down your group's daily itinerary (a flexible one but down to the hour as improvisation is simply not an option). At Habla Ya Spanish Schools in Boquete, Bocas del Toro, and Panama City, Panama, we understand these challenges and know what it takes to make your school trip abroad a total success. Whether you're an experienced group leader or if it's your first time traveling abroad with a school group, we will work with you step by step and make sure that you reach your goals and exceed your directors', students' and and their parents' expectations. We will work with you from beginning to end! 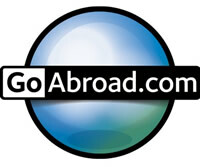 The benefits of a school trip abroad for your students are simply outstanding. Being directly exposed to the Spanish language will dramatically improve their conversational skills and provide them with the enthusiasm required to really learn it. On the other hand, experiencing a different culture, set of values and way of life will certainly broaden their horizons. And nowadays, being fluent in the Spanish language and having a practical understanding (not just theoretical) of our globalized world is a must for the leaders of tomorrow. Each high school, college and university group is unique and we understand this. From the moment you first contact us we will make sure that we understand your school group's specific needs, trip's purpose and goals, and work with you side by side to ensure that an adequate program is organized, and then executed once you arrive to Panama. 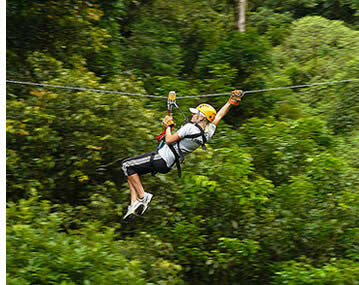 It is a well known fact that Panama is one of the safest countries to visit in Central and South America. We are very fortunate to not suffer from the same problems that other countries in Latin America do. And within Panama, the rural charming mountain town of Boquete and the quaint beach town of Bocas del Toro are certainly amongst the safest destinations for tourists in Latin America. Panama City is very safe as well, although it's obviously a lot larger than Bocas and Boquete so it's a little bit more challenging to manage large groups, and as with any major city there are certain areas that should be avoided. 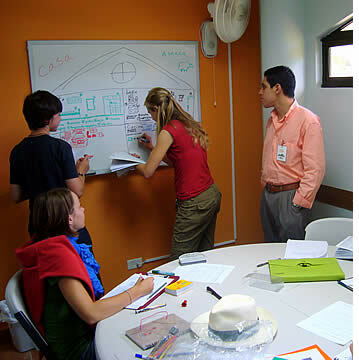 Their wonderful sense of community make it easy for students to practice their Spanish and interact with the locals (in Panama City as well as we're located on the border of a residential neighborhood). And each of the town's small compact layout simplifies your group's logistics as students can mobilize themselves by short 10 - 15 minute walks, or 5 - 10 minute bus rides from the school in downtown Boquete and Bocas del Toro to their host family's house or hostel where the entire group is staying at. In Panama City we are located in the heart of the city and all of our lodging options are close by as well. Virtually everything that your students could want access to is within walking distance from Habla Ya Spanish Schools. You really couldn't ask for easier places to manage your groups at. And of course, it is perfectly possible to organize a Spanish program for your school group at several or all of our Spanish schools in Panama. Having your school group's trip in a rural mountain or beach town, in a healthy environment within a community with traditional values, will make it easier for you to keep your group focused on the trip's objectives and away from the crazy party life that characterizes many cities. In our experience it's certainly easier to manage a group during an extended period of time in a safely manner in a town like Boquete or Bocas del Toro. Even though there is a party scene in Bocas del Toro it is still a small town. In Panama City we also organize programs for school groups though high school students should always be supervised by a chaperon. Learn Spanish at Panama's top rated network of schools...Click to collapse. As a group leader you want your students to make the most out of their educational school trip. When it comes to language learning, choosing a great school instead of an average one makes all the difference. One of the main reasons Habla Ya Spanish Schools are amongst the most and best reviewed Spanish schools in Latin America is simply because students learn how to speak and understand the Spanish language a lot quicker at our schools. Our Spanish teachers are highly experienced and trained, have language teaching related university degrees, and are immensely passionate about teaching Spanish as a foreign language. The curriculum and syllabus of our schools' Spanish program can be adjusted to suit your own high school or university's language department's requirements, or you can just leave it to us! Each student's level is assessed through our Online Placement Test and oral interview upon arrival, ensuring that students are placed with the most appropriate classmates and each teacher's class is planned according to the students' level of proficiency. Group 4: 20 hours of lessons per week in a small group of no more than 6 students. Groups are arranged according to students' Spanish levels ensuring that classmates will have a very similar degree of communicative proficiency. One to One Spanish Classes: we offer students the option to have four - six hours of private Spanish lessons per day. 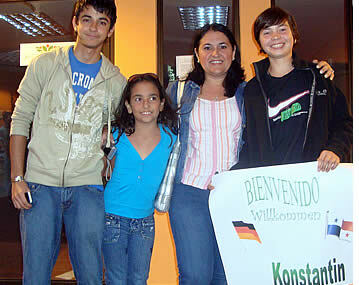 The contents and schedule of these private Spanish lessons are arranged to suit the student's individual needs. Group 4 PLUS: for those seeking a more intensive or an even a more personalized course, Group 4 PLUS adds one or two extra hours of private lessons on top of the standard four hours of group classes that students would normally have each day. DELE Test Preparation Course: DELE is the Official Test of Spanish as a foreign language. At our schools, candidates are prepared by having 20 - 30 hours of private classes per week. Specialized Spanish Courses: sometimes a student may require something particularly specific and needs to focus on a topic of a very specialized nature. It could be Medical Spanish, Legal Spanish, Business Spanish, Spanish for Teachers, or simply vocabulary or a Spanish language skill related to a specific field. 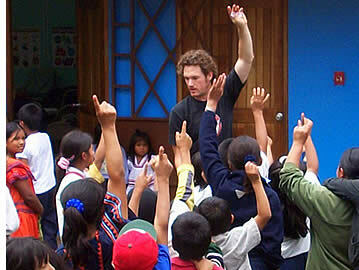 The cost for Spanish lessons goes from $175 - $575 USD per student per week. It all depends on the type of Spanish classes you decide to have (group lessons, mini-group lessons or private lessons) and on the amount of hours of lessons each of you decide to have each week (10 to 30 hours). Studying the language in a Spanish speaking country has a dramatic impact on how much and fast students learn. You'll notice that your students will learn a lot more Spanish in two or three weeks in Central America than what they usually learn in a whole semester or even a year back at home. Encouraging them to only use Spanish during their trip and providing the best conditions to make this happen will go a very long way. If you would like your school group to get truly immersed in the Latin culture, experience our way of life and expose them as much as possible to the Spanish language, then a family home stay is the way to go. Your high school or university students will get a unique perspective about family life in Central America and everyone will easily be able to practice their Spanish conversational skills after each day's activities. We currently collaborate with more than 70 host families in Boquete, 10 in Panama City, and with about 20 in Bocas del Toro, that make our Total Spanish Immersion Program a reality, all of which are within a 15 minute walk to our Spanish schools or a 5 - 15 minute drive by public transportation. Living standards are somewhat higher in Boquete and Panama City than in Bocas del Toro and our host families are middle class by local standards. Students can be placed in pairs at each host family's house, but to maximize exposure to the Spanish language, we always recommend placing one student per family. In order to select the most appropriate host family for each student, students are required to fill out a Home Stay Interview (students under-age fill out this interview). The sooner we receive each of the candidates' interviews, the more able we are to place each student in a host family close to our Spanish schools. Each family home stay has a $50 USD setup fee and costs $225 USD per student per week. This weekly fee includes the home stay itself and two meals per day (breakfast and dinner usually). In Bocas del Toro there is a home stay supplement of $50 USD per student per week and $75 USD for Panama City. Depending on the length of your stay and on the size of your group, you could also consider a vacation rental in Panama. With enough time in advance we can help you secure a suitable place for your school group. It's reasonable to budget $10 - $15 USD per student per night when considering a budget hostel for your group's accommodation or $20 to $40 if you'd prefer something in the mid-range. Needless to say, alcohol and smoking is strictly prohibited for anyone under age (18) in Panama (and drugs are illegal), and curfews for students under 18 are established in accordance with each group leader. Curfews obviously do not apply for adults and university students. We always discuss specific rules with each group leader in advance. Besides learning Spanish your school group can have a blast after class! Habla Ya Spanish students have access to special discounts off many eco-adventure tours and depending on the size of your school group you could have access to even more significant discounts. 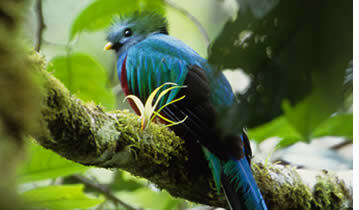 For more about tours in Panama and pricing information please click here. Several extra activities are free of charge, such as our movie nights, salsa lessons and conversational sessions. Panamanian dinners cost $5 - $7 USD per person, Yoga Classes cost $5 - $15 USD per class, Eco-Adventure Tours have their own fees and students pay what they consume at bars, Dinner Parties and Get-Togethers. For more information about our extra activities please click here. By volunteering and helping our children or our community's projects your school group will not only be able to make the difference but your students' appreciation of life will gain a new meaning and each and one of them will be even more grateful for all of the opportunities and means that they have access to. In order to organize and coordinate all of the volunteering activities there is a $5 USD per person per day volunteering fee. 100% of this fee goes as a direct donation to each Non Profit Organization. The volunteering fee for non Habla Ya students (if your group is not taking Spanish lessons) is $15 USD per day (in which case 75% goes as a direct donation) plus a $75 USD setup fee. Your school group will enjoy one of the most amazing trips that they've ever had. At Habla Ya Spanish School we employ additional staff whose main responsibility is to make sure that our Spanish students have the time of their life outside of the classroom! The following is a sample itinerary for a school group visiting Panama for two weeks and living with a local host family. It can be totally adjusted to suit your needs. We are very flexible and would be thrilled to work with you as a group leader. Please contact us so that we can start planning and organizing with you! For school groups of 15 students or more who join us for at least 2 weeks of Spanish lessons (20 hours per week), we assign at no additional cost one of our staff members exclusively to assist you as a group leader in the coordination of all the extra activities that take place after class. In this way your group will have its own personal guide of the Panama City, Boquete and Bocas del Toro areas, and with our insider knowledge you'll be able to save money on many tours as you'll only have to cover the cost for transportation. The total cost could be around $350 - $600 USD per student per week including Spanish lessons, accommodation, tours and round-trip transportation from Panama City. It all depends on the type and amount of lessons your students have, the length of their stay, and on the amount of tours each student has. Please contact us and tell us your needs and we will get back to you with several scenarios. The cost for Spanish lessons depends on the type of class (private, mini-group or group lessons) and on the length of your school group's stay. The more weeks and hours you school group signs up for, the better the rate you'll have access to. Depending on your length of stay and on the amount of hours purchased, school groups may also have access to additional discounts. Rates for accommodation depend on your choice of accommodation, number of group members and on the length of your school group's stay. As a general rule when making your budget, home stays have a $75 USD setup fee per student and cost $225 USD per week and include two meals per day (breakfast and dinner). Lunch at local restaurants can be arranged for an additional $3 - $5 USD per student. 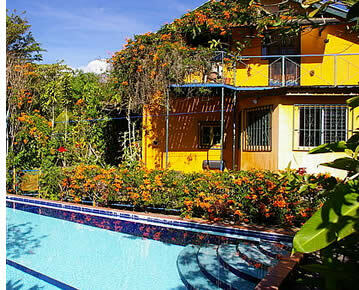 Home stays in Panama City have a weekly supplmenet of $75 and in Bocas del Toro it's $50 per week. 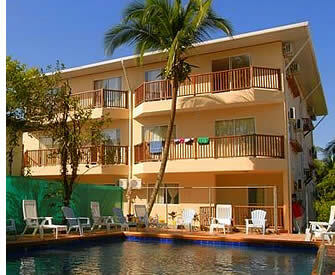 Overnight stays in Panama City, can be arranged for as low as $15 USD per student per night. Please click here to compare rates for all of our lodging options. Habla Ya Spanish students have access to special discounts off many eco-adventure tours, and depending on the size of your group, you can have access to even more significant discounts. For groups of 15 or more students who join us for at least 2 weeks of lessons (20 hours per week), we can assign you your own private guide and in this way you'll only have to cover the cost of transportation for several of your tours. 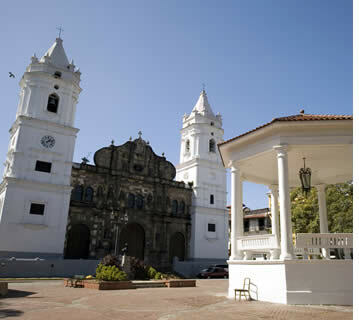 For more info about tours in Boquete, Bocas del Toro, and Panama City, Panama click here. There is a $5 USD daily fee per student when arranging volunteering or service projects for groups. 100% of each daily volunteering fee goes as a direct donation to each NGO. For more information about volunteer projects please click here. The volunteering fee for non Habla Ya students (if your group is not taking Spanish lessons) is $15 USD per day (in which case 75% goes as a direct donation) plus a $75 USD setup fee. For groups of 10 or more students, round trip transfers to and from Panama City (6 hour drive) can be arranged at $100 USD per student. These transfers include all necessary meals, airport pickup in Panama City, transfer to hostel if necessary, city tour to the Panama Canal and Casco Viejo, and transfer to Boquete. A similar transfer from Panama City to Bocas del Toro would cost $150 USD per student. 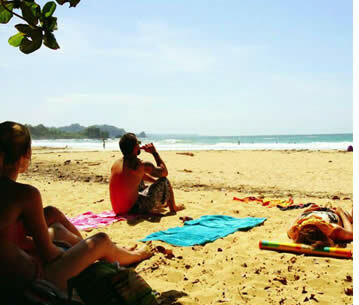 Transfers between Boquete and Bocas del Toro can also be arranged. We're here to help & make it happen! Contact us!